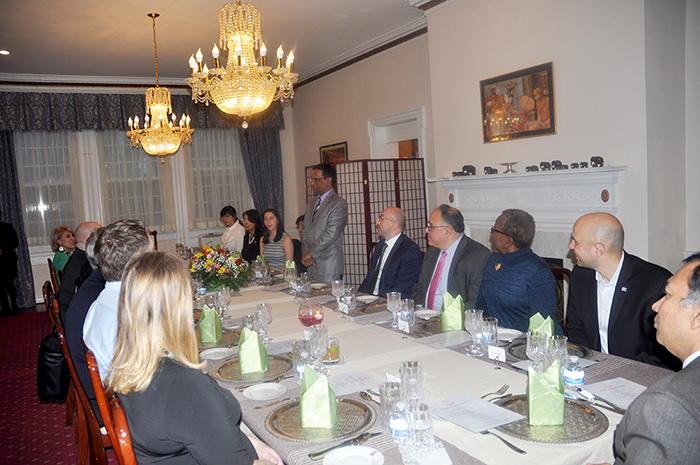 The Embassy of Sri Lanka in Washington had the distinct pleasure of hosting the media preview dinner of the 11th International Chef Challenge at the Sri Lanka Residence in Washington DC on 20th March 2019. 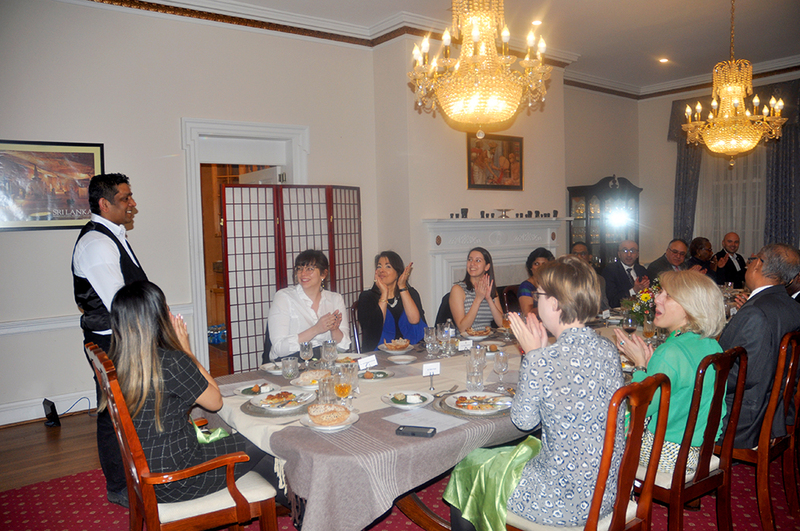 The “International Chef Challenge” is an annual culinary feature, jointly hosted by Events DC and Trade Centre Management Associates (TCMA) exclusively for the diplomatic community in Washington DC which has become a major attraction and platform to promote culinary diplomacy among the likeminded. The 11th International Chef Challenge which is scheduled to be held at the Ronald Reagan Building and International Trade Centre on 02nd April 2019 will feature authentic cuisine and culinary delights presented by over 30 diplomatic missions based in Washington DC. 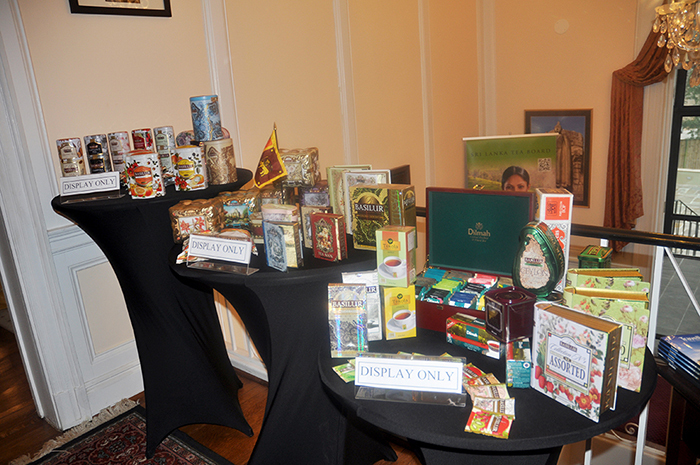 The curtain raiser and media preview dinner hosted by Chargé d’Affaires, Sarath Dissanayake on 20th March at the Sri Lanka Residence was a unique and rare opportunity for Sri Lanka. 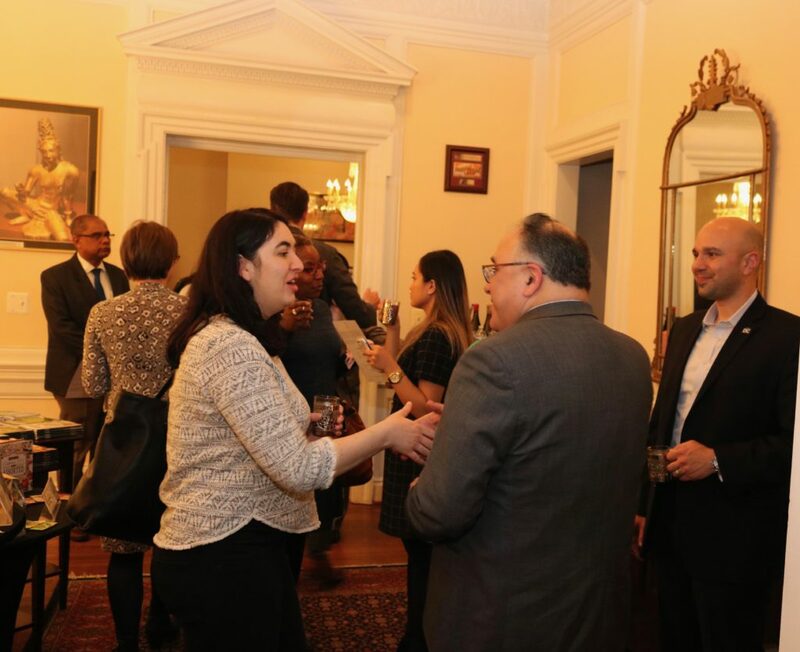 The Chargé d’ Affaires of the Georgian Embassy, Giorgi Tsikolia joined the gathering as co-host. Among the invited guests in attendance at the dinner included event organizers namely, Events DC, TCMA etc, sponsors such as Cultural Tourism, Pepsi, Chase together with media partners namely, DC Refined, Washingtonian, Washington Diplomat, Racked DC/BizBash, Thrillist, The African Dream.net Oral Ofori etc. 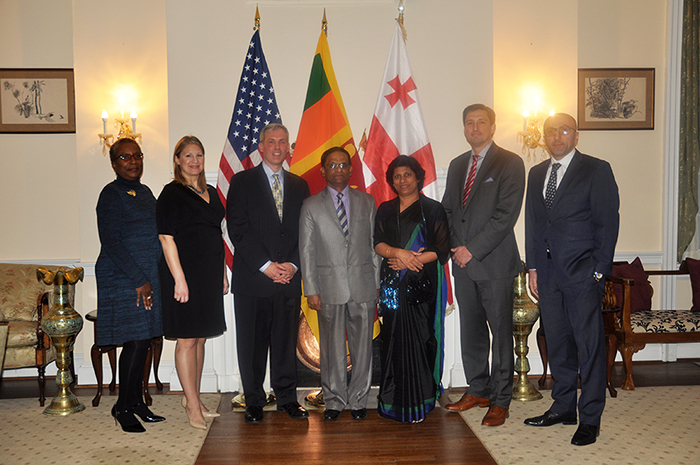 Delivering special remarks, Chargé d’Affaires , Sarath Dissanayake welcomed the guests and appreciated their contribution and support for the event for 10 long years and making it an annual feature in the diplomatic calendar. 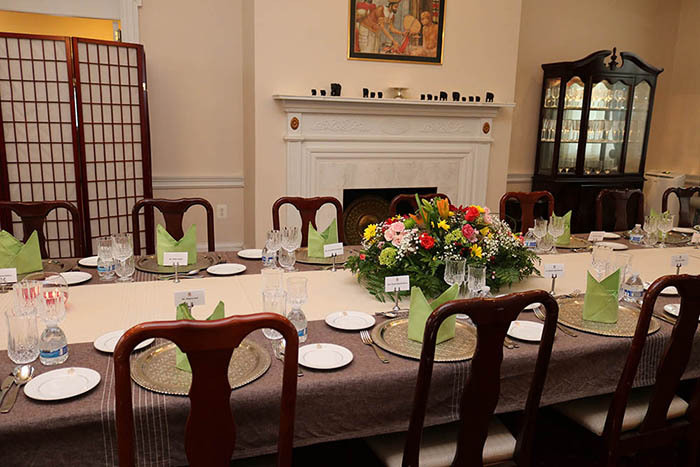 He credited the event organizers, sponsors and media partners for its success and popularity today thus becoming a much sought after annual culinary feature among the Washington based diplomatic community. On behalf of Sri Lanka, Chargé Dissanayake took the opportunity to convey his best wishes to the valued sponsors, media partners, well wishers and chefs for all success in the 11th Internal Chef Challenge. 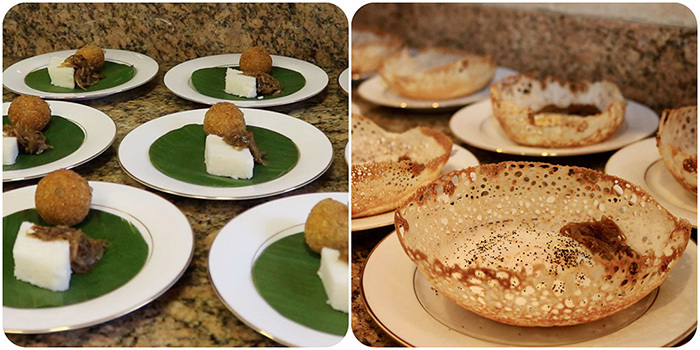 He then invited the guests to taste and experience Sri Lankan dishes and culinary delights prepared by Sri Lanka Chefs which included hoppers, kottu, fish cutlets, jaggery pudding and others exquisite dishes unique to Sri Lanka.